Click here to read an excerpt from The Young Elites! Marie Lu is the author of the New York Times bestselling Legend series. She spends her spare time reading, drawing, playing Assassin’s Creed, and getting stuck in traffic. She lives in Los Angeles, California, with one boyfriend, one Chihuahua mix, and two Pembroke Welsh corgis. LEGEND. PRODIGY. CHAMPION. ELITE. Don’t miss a word. 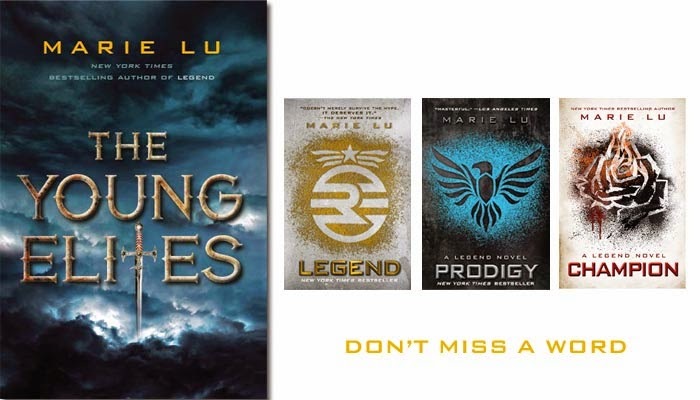 Enter for your chance to win the full list of Marie Lu titles including the completeLegend trilogy and the all-new release The Young Elites. Thanks for such an awesome giveaway!!!!! 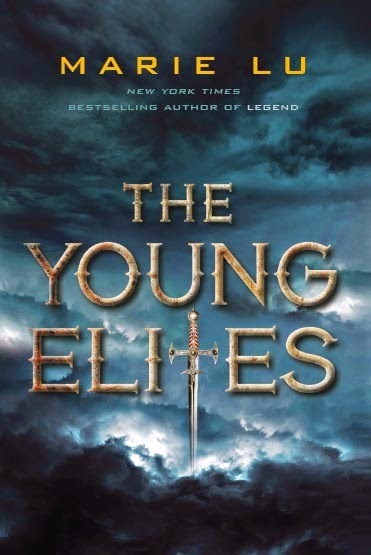 I really want to read The Young Elites! I've been hearing that it's crazy good! i need to get on the Marie Lu wagon quick! Thanks for running such a cool blog! This is an insane and AWESOME giveaway!! Thank you! I'm so excited for The Young Elites. I've been reading reviews from everyone that got an ARC and it's making me more and more excited for it to be released! Thank you so much for this great giveaway! I've been wanting to get into the Legend trilogy lately and I've heard amazing things about The Young Elites! i've heard about this series but not had a chance to read it.